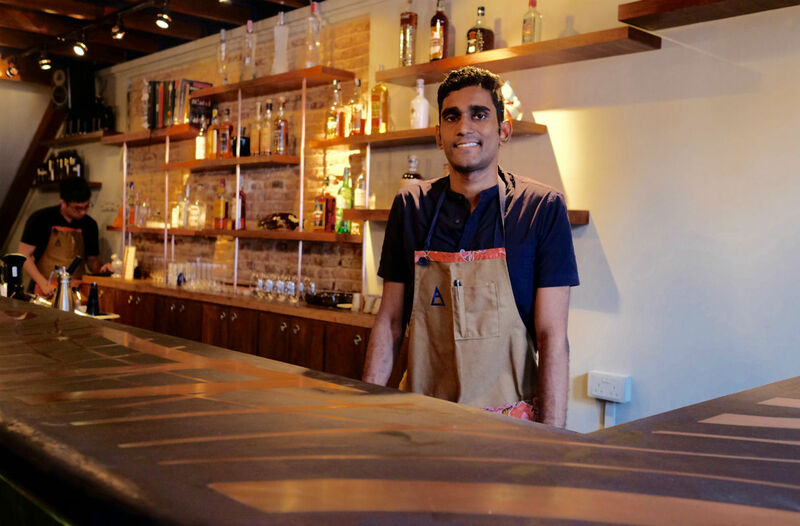 Singapore will be playing host to the first-ever RPB Asia Bartender Invitational this July, with eight award-winning bartenders representing four cities in the Asia region compete over three days to see who’ll win the title of “Ultimate Bartender of the Year”. 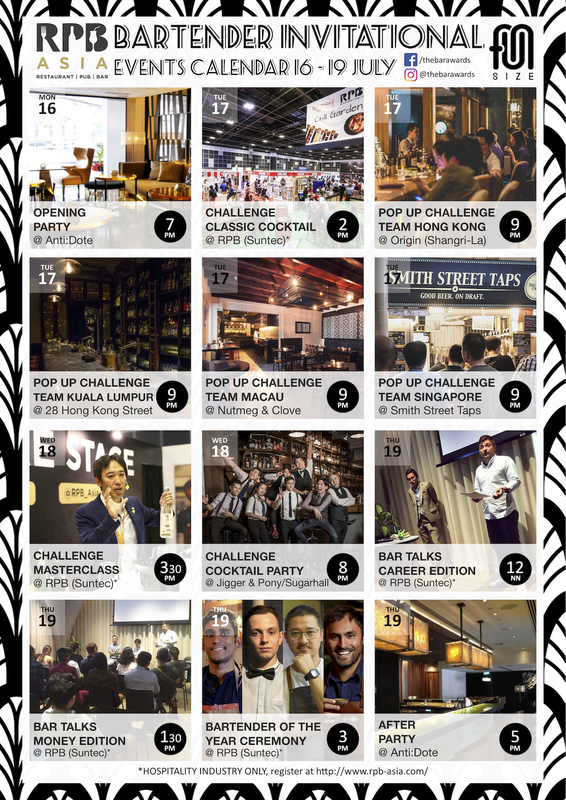 Organised by events company Fun Size – the people behind The Bar Awards in Singapore, Kuala Lumpur, Bangkok, Hong Kong, and Macau – and run as part of hospitality trade event Restaurant, Pub & Bar Asia (RPB Asia) that’s taking place this year from 17 to 19 July 2018, the inaugural Bartender Invitational will see four teams compete over five different challenges that will test their strengths in the areas of creativity, hospitality, and teamwork, among others. “We wanted to create an event that would bring individuals from all different bartending worlds together to unite, build friendships and inspire and be inspired by their peers,” says Tron Young, the main organiser and editor at Fun Size. Each of the competing teams are comprised of a Bartender of the Year title winner from four of The Bar Awards’ cities, as well as a team mate they chose from the same city to represent that city in the competition. The competing teams will undergo five different challenges – the Bar Theory Challenge, Classic Cocktail Challenge, Pop Up Challenge, Masterclass Challenge, and a Cocktail Party Challenge – each of which will put to test their skills in different areas of expertise. A different kind of challenge. On the other hand, he says, the Pop Up Challenge is perfect for assessing a bartender’s speed. “Here’s when real customers are ordering real drinks and have realistic time expectations,” Young posits. The RPB Asia Bartender Invitational officially kicks-off with opening party on Tuesday 16 July from 7pm at Anti:Dote. Challenges will be held in various locations all over Singapore and in conjunction with the RPB trade show, 17 to 19 July.